Are you in serious need of dental care, but too afraid to go to the dentist? Many people feel the same. For our patients who need that extra help to relax, we offer Sedation. What is IV Sedation ? Intravenous (or IV) sedation is an outstanding method of treatment for patients who have severe dental apprehension or extensive dental needs. During IV sedation, the patient is administered medication intravenously. This combination of medications causes a drowsy and relaxed feeling, helping the patient to remain totally calm and sedated throughout treatment. Throughout this process, the patient's vital signs are monitored. Although patients are not completely unconscious, many patients do sleep through their dental appointment. Few patients have any memory of their treatment. It is obligatory that patients who have IV sedation or oral sedation have a friend or family member to bring them to the dental office and return them safely home. You are given a small pill to take an hour before your dental appointment. Your companion will accompany you to the practice. By the time you arrive, you will feel very drowsy. Upon your arrival in our practice, you will be taken into the comfort room, covered with a thick, warm blanket and have your vital signs monitored. 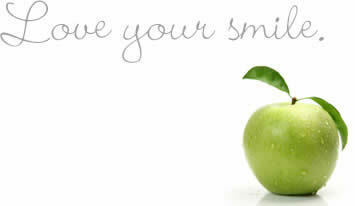 After you are comfortable, the dentist and the clinical team will take care of your dental needs. Upon the conclusion of your treatment, your companion will return you home to finish your comfortable, relaxing day. Sedation dentistry is a safe way to reduce the fatigue of extended dental care and long visits. We make use of the services of Dr. Justin Kennedy. Sessions include the use of biofeedback, clinical hypnosis, mindfulness techniques and cognitive therapy to ensure that you can engage your relaxation response and have a felt sense of calm. For more information please contact Dr. Kennedy at: kennedy@dr.com or +27 21 422 1327 / +27 82 370 2080. Yes, we are always with you and your vital signs are monitored during the entire visit. You are never alone. You may be relaxing between two to six hours, depending on your needs. Because you are totally comfortable, all of your dental care may be completed in just one or two visits. We can replace crowns or missing teeth, treat gum disease, whiten yellow or stained teeth, repair a chipped tooth, and more. People with very busy schedules can receive the dental care they need, easily, quickly and comfortably. With the help of our experienced dentists, you won't have to live with an embarrassing smile or any tooth pain. No wonder so many patients say: "Sedation dentistry changed my life."